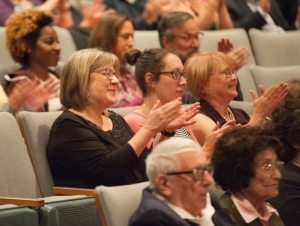 A recognition ceremony to honor faculty and staff accomplishments will be held on Thursday, October 4, at 12:15 p.m. in the Performing Arts Center at Rockwell Hall. The event will recognize Buffalo State recipients of SUNY Chancellor’s and President’s awards. In addition, all new faculty and staff members will be welcomed to campus. The entire campus community is invited to participate in this seventh annual event. A reception will follow in the auditorium lobby of Rockwell Hall. Drew Kahn, distinguished service professor of theater, began his teaching career at Buffalo State in 1993, and his work over the past 25 years has demonstrated substantial distinguished service at the campus and local community levels as well as in the state, national, and international arenas. He first directed his version of the Diary of Anne Frank at Buffalo State in 2006, combining the story of Anne Frank with an adaptation of a personal account of a girl who survived the genocide in Rwanda in Left to Tell. The play struck a deep nerve and expanded into the Anne Frank Project (AFP), a space to explore social justice issues. The mission of AFP is to use storytelling as a vehicle for community building, conflict resolution, and identity exploration. Since 2009, under Kahn’s leadership, AFP has sponsored yearly conferences that allow participants to explore issues of social justice. Each year, approximately 1,500 participants and volunteers from across the region, state, and beyond participate in the conference and, since 2009, AFP has hosted more than 10,000 people at these events. In 2010, Kahn added a formal service-learning activity to AFP’s work. He guides students on an annual trip to Rwanda where they visit prison camps, refugee camps, and genocide memorials, as well as meet survivors of the genocide. More than 50 students have traveled to Rwanda to date. When they return, students unpack their Rwanda experiences by developing plays that are performed at Western New York area schools. More than 3,000 public schoolchildren have participated in these productions. Since 2013, Kahn has been collaborating with the Global Engagement Institute in Rwanda to train teachers in Rwanda in drama-based education and storytelling techniques that are foundations of the AFP. And since 2015, Buffalo State has incorporated AFP into its First-Year Orientation program. Students begin their college experience by exploring injustices seen across the globe. 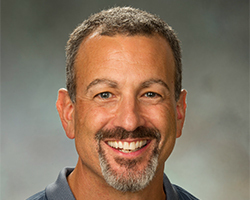 Kahn exemplifies the principles of an engaged faculty member. He is an amazing community builder, teacher, and champion of social justice whose work is grounded in the mission of Buffalo State and has deepened the ways the college manifests a commitment and dedication to social justice in ways both measurable and immeasurable. His work is institutionalized at Buffalo State, and our communities are the better for it. Tammy Anna, secretary 1 in computer information systems, is a hardworking, experienced, thoughtful, and kind presence in her department. The department serves approximately 1,000 students each year—including undergraduate majors, graduate majors, and non-majors from across the college—and Anna is the point person for all operational activities, communications, registrar updates, record keeping, and more. She is incredibly helpful to students, from the time they commit to the major, as they come to the department seeking advisement, and as they apply for graduation. Anna is extremely organized in keeping track of and communicating all details associated with running the department. She always knows what to do and whom to contact on campus, whether she is keeping the department well supplied; filling out travel vouchers or purchase orders; organizing materials for teaching evaluations, contract renewals, or the promotion process; or organizing special projects, conferences, or events. The depth and breadth of her ability to help the chair navigate budgetary and registration systems is exceptional. Additionally, she maintains and updates the department’s social media presence on Facebook and the department web page, and manages much of the Blackboard communications for undergraduate majors. Her loyalty and trustworthiness not only help the chair with day-to-day activities but also keep the department on track with medium- and longer-term projects and goals. Anna always goes beyond her required duties, making herself available during weekends and holidays when needed, helping with grant work, attending training workshops, lending a sympathetic ear to students and others who visit the department, and making a welcoming office environment through decorations and candy for everyone. One of her best assets is her proactive nature. She is able to look ahead to potential challenges and alleviate them before they happen. Her personality is to be a friend to all who enter or call the office, and she desires to help out in every situation. She is an upbeat presence in the office every day. Of utmost importance, she displays integrity in all her interactions. Kathy Wood, associate dean in the School of Education, has consistently demonstrated excellence in her job. She is particularly skilled at managing myriad committees on behalf of the School of Education, handling all curriculum in the school, and serving as an advocate and compassionate mentor for students. 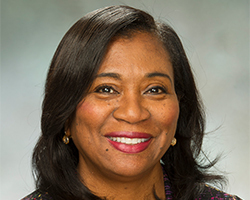 From her first leadership role with the Center for Excellence in Urban and Rural Education (CEURE) to her current appointment, Wood has built a well-respected and widely recognized reputation as an advocate for positive change in urban education at Buffalo State and in the Western New York community. Her passionate commitment to developing, implementing, and strengthening programs of support for students in urban settings has taken many forms, but none so critical to the diversity of the profession as her innovative leadership on the Urban Teachers Academy (UTA), a new collaborative effort between Buffalo State and the Buffalo Public Schools designed to encourage students in the district to choose teaching as a career as early as eighth grade. The UTA is only the most recent of Wood’s persistent and influential activities to engage faculty and students in service learning through civic engagement. In 2012, she and faculty colleagues developed a learning community for freshmen that incorporated civic engagement and community activism. She also organized a new minor sequence of study in urban civic education and, as the graduate complement to an undergraduate curriculum in urban civic education, she helped launched an urban education master’s degree program. Wood’s work ethic, strength of character, and indefatigable energy are evident in all her activities. In the community, she serves on the boards of directors of the Buffalo United Charter School, Autism Services, and the Buffalo State College Child Care Center. These many “extras” require a devotion of time and effort far beyond her already extraordinary service to the college as a member of the Assessment Advisory Board, the Students of Concern Care Team, the College Planning Council, the Research and Creativity Council, and the PDS Advisory Board, and as chair of the Orientation Steering Committee and many others. Karen Sands-O’Connor, professor of English, is an exceptionally productive scholar with an international reputation, who since joining the Buffalo State English Department faculty in 1997 has written three books (one with co-author Marietta Frank) and coedited a volume of essays. She has published 11 articles in refereed journals and 12 articles in edited collections, and has two more articles forthcoming. She has given numerous invited lectures, including the prestigious Leverhulme Lecture series, and delivered what one colleague called a “stag­gering number” of papers at academic conferences throughout Europe, Asia, and the United States. The leading authority on black British literature for children, Sands-O’Connor has been recognized for her groundbreaking scholarship by the Leverhulme Trust, which in 2015–2016 awarded her a visiting professorship at Newcastle University in England. At Buffalo State, she has been awarded the E. O. Smith Arts and Humanities Faculty Development Grant (2016–2017), an Individual Development Award (2002), and a Provost’s Grant (2002). Extending the impact of her research beyond the familiar contexts of the academic journal and the graduate and undergraduate classrooms, Sands-O’Connor contributes her scholarly expertise to the wider community. She has accepted a three-year appointment as an academic consultant for the Centre for Literacy in Primary Education in the United Kingdom, advising the national organization on the development of an annual report of diversity in British children’s books. She also serves as diversity consultant for the UK’s Seven Stories, the National Centre for Children’s Books, where she helped plan and execute a multidisciplinary symposium on race, children, and the archives as part of Freedom City celebrations in Newcastle, England. And in 2017, she was elected to a three-year term as an International Committee member of the Children’s Literature Association. 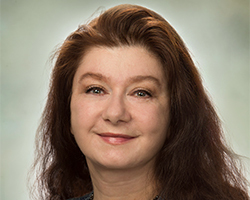 Sands-O’Connor’s scholarly activities include her ongoing commitment to fostering the scholarship of both graduate and undergraduate researchers. The recipient of the inaugural Buffalo State President’s Award for Excellence in Undergraduate Research Mentoring, she has directed under­graduate research courses and projects on Lewis Carroll, humor in children’s literature, British children’s literature 1918–1939, comparative folklore, international children’s literature, contemporary British picture books, children’s poetry, Caribbean literature, and Caribbean children’s literature as well as graduate-level independent studies on death in children’s literature, young adult Holocaust literature, science fiction and fantasy, Orientalism, literary criticism in children’s literature, British picture books, British literature and the West Indies, and Caribbean diasporic literature. Carol DeNysschen, chair and professor of health, nutrition, and dietetics, embodies Buffalo State’s commitment to social responsibility and community engagement. This is evidenced not only in her work in the community but also through her commitment to expanding and influencing student, faculty, and staff efforts to engage and collaborate to address community needs. On campus, DeNysschen has served on the Engel Student Humanitarian Award Committee, as the School of the Professions liaison to the Buffalo State food pantry to address student hunger, and as faculty adviser for the Buffalo State Rotaract Club, a Rotary-sponsored service club for young men and women. The Rotaract Club has grown from 10 to 40 members and received the award for Outstanding Community Service by a Student Organization for its extensive volunteer efforts. DeNysschen also took her ardent commitment to service into the classroom when she developed a service-learning component to her Principles of Nutrition Education course, and she has encouraged additional faculty members in the Health, Nutrition, and Dietetics Department to incorporate community-based learning into their courses. 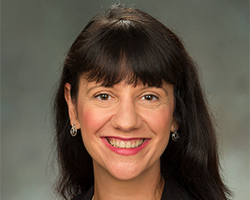 DeNysschen is also an extensive leader in the SUNY system, where she has served on the doctoral and master’s student advisory boards and as internship research preceptor at the University at Buffalo. With a demonstrated commitment to online teaching and exploring meaningful pedagogies that meet student learning styles, she was selected for the 2016 Open SUNY Center for Online Teaching Excellence Award. DeNysschen has a remarkable array of commitments and impacts throughout Western New York. She serves as a Food Bank of WNY board member; works extensively as a volunteer, researcher, and educator with Roswell Park Cancer Institute; and has served as an Amherst South Rotary member for nine years. She served as president and board member of the Western New York Dietetic Association and was honored twice with its prestigious Outstanding Dietetics Educator Award. 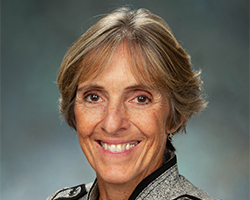 She is also president-elect of the New York State Academy of Nutrition and Dietetics, a 5,000-member organization of nutrition professionals. 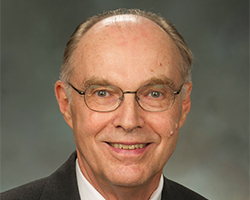 Steve Pendleton, chair and associate professor of political science, has demonstrated superior service in both quantity and quality, and has done so for more than four decades. 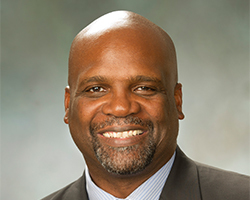 He has made major contributions to service in leadership roles to his department, to Buffalo State, to the State University of New York (SUNY) system, to United University Professions (UUP), and to the greater community. Pendleton began his service by establishing the Buffalo State chapter of Pi Sigma Alpha, the national honor society for political science, in 1983, and served as its adviser for 15 years. He has also served as a graduate adviser and internship supervisor for numerous students. He has been a member of the SUNY Multi-Campus Consortium for Economic Revitalization of New York State and of Buffalo’s Coalition of Religious, University, Community, and Union Leaders, which later became the Center for Economic Justice. He has represented SUNY and Buffalo State well by giving interviews for radio, television, and newspapers on his areas of expertise, starting early in his career and continuing to the present day. 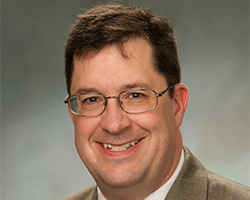 Pendleton has been particularly active in UUP, serving for extended periods as president of the Buffalo State College UUP chapter and as chair of the Academic Grievances Committee, as well as twice serving as the Buffalo State representative to the UUP statewide Negotiations Committee. Within Buffalo State governance, he has served on the College Senate and as chair and a member of the personnel committees for the Political Science Department and the School of Natural and Social Sciences. His deep knowledge of the history and structure of Buffalo State, of SUNY, of UUP, and the community has been invaluable. He brings a well-balanced and fair-minded approach to all discussions. 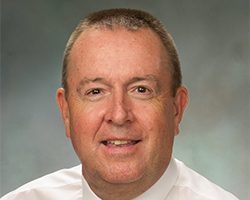 As chair of his department, he serves as an effective advocate and mentor to new faculty members. Pendleton’s service contributions have been wide-ranging and valuable, far exceeding that for which faculty are normally compensated and extending consistently over his entire career. He has clearly demonstrated initiative and creativity in his service to the college and to SUNY, has helped in major ways to advance their mission, and confirmed his dedication to serving students, faculty, and staff. James Bensley, lecturer of geography and planning, is an integral member of the urban and regional planning program and consistently demonstrates superior teaching at the undergraduate level. He is committed to providing students with instruction of the highest quality both in and outside the classroom and a superior educational experience at Buffalo State. Bensley’s educational and professional backgrounds have prepared him well to teach in the planning program. He currently works as director of the Orleans County Planning and Development Department, where he oversees two planners, both of whom are graduates of Buffalo State’s urban and regional planning program. He is incredibly knowledgeable in all areas of land use and development, economic development, natural resources and environment, and county government operations, and he brings this knowledge and insight to the planning courses he teaches. All of Bensley’s courses provide a combination of technical skills, theory, and applied hands-on experiences that typically have a community-engagement component. The theory focuses on introductory planning, land-use planning, zoning, and comprehensive planning. His teaching innovations are linked to his emphasis on planning technical skills and the hands-on, applied learning opportunities he offers students. Students respond exceptionally well to his teaching methods and genuinely appreciate the professional expertise he brings to the classroom. In addition to his teaching duties, Bensley has advised 10 planning majors on their senior thesis research over the years. He also contributed extensively to curriculum development as a member of the Planning Program Revision Committee. This committee worked to develop a new planning program that was aligned with current planning practice and prepares graduates either to enter the profession in an entry-level position or to attend a graduate program in planning. Lynn Boorady, chair and professor of fashion and textile technology, demonstrates the full spectrum of excellence in teaching. She is a reflective instructor, continually assessing her students’ understanding and progress, including mid-semester student feedback, and making improvements where indicated. She embraces the use of technology in her classes and has taken advantage of numerous professional development opportunities. She is also an advocate for student resources, finding innovative ways to make the department’s courses affordable for students. Her affiliations with corporations such as American Apparel, Kohl’s, Target, and other retailers demonstrate her commitment to the profession and also provide students access to unique perspectives in the fashion industry, as well as opportunities for internships and employment. Her commitment to social responsibility, sustainability, and international experiences related to the apparel and fashion industries is shared with her students. She is the epitome of high-productivity, whether it be through speaking engagements, hands-on volunteering, or grant writing. Her extensive service projects and recognition for her service attest to her dedication to her students and to her discipline. She has been recognized for her teaching by the International Textile and Apparel Society with its 2017 Teaching Excellence Award and by the college with its 2016 President’s Award for Excellence in Teaching. In 2014, she was named Teacher of the Year in the “Nominate a Teacher” award program, a campuswide initiative through which Buffalo State students nominate teachers who make a positive impact on their lives. More than 75 faculty members were nominated across campus, and student voting determined the winner. Boorady cares deeply about her students’ education and futures, and she is a tireless and effective mentor, as demonstrated by the successes of her students. She serves her college and community well. She has an impressive record of productivity and professionalism related to teaching within and outside the classroom. Lisa Marie Anselmi, chair and associate professor of anthropology, joined the Buffalo State faculty in 2004 and has immersed herself in the campus community and taken on increasingly significant leadership roles ever since. She has handled the routine but important tasks of being a department chair with efficiency, and the difficult issues with tact and intelligence. In addition to her work as chair, she has been active in advising students in her department and has served as faculty adviser for the Buffalo State chapter of Lambda Alpha, the national honor society for anthropology. In addition, she served on the committee that created the minor in indigenous studies and has served as coordinator of the program for many years. At the campus level, Anselmi’s service has been both wide-ranging and deep. She has served on or chaired a number of vital committees, including the College Planning Council, the Commencement Committee, a Middle States workgroup, the College Senate Instruction and Research committee, and the Intellectual Foundations Non-Western Civilization Oversight Committee. She has also served her United University Professions (UUP) colleagues in a variety of roles, including as vice president for academics in the Buffalo State UUP chapter and on two statewide UUP committees. Anselmi has played an exemplary role in service to Native American organizations, both within Buffalo State and in the greater community. This includes service as an adviser to the Buffalo State Native American Student Organization, a member of the executive board of Native American Community Services of Erie and Niagara Counties, a member of the organizing committee for the Conference on Iroquois Research, and a Buffalo State representative to Native American SUNY: Western Consortium. Her contributions to her profession include service as president, vice president, and chapter trustee of the Frederick M. Houghton Chapter of the New York State Archaeological Association (NYSAA) and as vice president of the statewide NYSAA, currently serving as president. For Anselmi, service to the college functions as a guiding compass to her position in the faculty. Her long and consistent record of significant service to the college informs and is supported by her teaching responsibilities and research interests. A tireless ambassador for Buffalo State, she fosters strong relationships with administrators, faculty, staff, and students in a constant effort to help move the college forward. Dianne McCarthy, associate professor of elementary education, literacy, and educational leadership, contributes to the wellbeing of the campus, her department, students, and the larger community in many ways. She is an excellent teacher and scholar who enriches the lives of faculty, students, and school partners. McCarthy’s service to the campus includes many years as a member of the Buffalo State College Senate, during which time she served on numerous committees, including the Academic Plan, Curriculum, Faculty and Staff Welfare, and Senate Intellectual Foundations Oversight committees. She represents the interests of the School of Education and her department by serving on the Teacher Education Unit Professional Advisory Council. She also serves the School of Education and teacher education at Buffalo State more broadly through her leadership in assessment, especially in accreditation review by the Council for the Accreditation of Educator Preparation. Supporting the needs of her department, McCarthy has served on the Assessment, Bylaws, Personnel, and Honors and Awards committees. To enrich the professional lives of Buffalo State’s teacher candidates, she served as the faculty moderator of the Elementary Education Club. During the time of McCarthy’s leadership, the national governing body honored the Buffalo State chapter with four awards. Through her influence, the group has sponsored book clubs, guest speakers, and community service at local agencies such as the Women and Children’s Hospital of Buffalo. Through her participation in the Buffalo State Professional Development Schools (PDS) Consortium, McCarthy has served the larger Western New York community by providing professional development and partnering in a STEAM grant with partner school St. Gregory the Great. Teacher education has undergone many changes in recent years, and McCarthy has helped faculty and students adjust accordingly. After learning that teacher candidates were being challenged to pass the mathematics portion of a new certification exam, she offered to host intensive study sessions that included online work during the January term. McCarthy approached this initiative with a great deal of compassion, helping students who struggle with mathematics to be successful. Cathy McCoy, office assistant 2 (keyboarding) in the Educational Opportunity Program (EOP), has devoted more than 30 years of dedicated service to Buffalo State’s students, staff, and faculty. Always going above and beyond the call of duty, she exceeds job requirements by optimizing department resources to best address the needs of students and staff. Highlights of her many accomplishments include creating and administering the annual database documenting incoming freshman records and communications in preparation for EOP’s summer freshman program; effectively collaborating with other campus departments to plan and administer resources and programming for EOP students, which includes EOP summer program courses, academic workshops, career-focused programming, and community service activities; coordinating department communications, including up to 100 phone queries daily along with connecting students, staff, and faculty with appropriate EOP staff members; and training and orienting new EOP staff members in department and college protocols and resources, ensuring a smooth transition for students and staff alike. McCoy’s efforts are integral to the successful implementation of EOP’s routine operations and special programs, including mentoring and tutoring initiatives, the Sophomore Success Program, the Academic Center for Excellence, and yearly EOP Honors Convocation. An incredible critical thinker and planner, McCoy is a vital member of the EOP program. She provides each student with individual attention to ensure that their questions are answered and concerns are addressed. She makes the office inviting, a place where students feel comforted and respected. Whenever a student stops by in distress, McCoy makes certain that the student gets in to see one of EOP’s counseling staff members immediately. With her encyclopedic knowledge of Buffalo State and EOP procedures, she is able to quickly connect students to campus offices and resources best suited to address any concerns should counselors not be available to attend to students immediately. Neil O’Donnell, senior counselor in the Educational Opportunity Program (EOP), is a Buffalo State EOP alumnus who returned to the program to help current students navigate the challenges of academic and personal life. A warm, friendly, and sincere individual, he has a deep commitment to improving and empowering the lives of others. A productive and valued member of the EOP staff, he has created many new offerings within the program, including the Career Advisement and Preparation Program (CAPP) to provide support to students; a training program for new EOP counselors; Twitter and Facebook accounts to provide additional outlets for students to receive academic and career advisement; and a program for the secure digitization and storage of EOP records. O’Donnell understands the student population and draws on research and scholarly articles to implement new strategies to work with them. He is a sound counselor who not only advises his students but also assists with keeping and handling program data to augment more intentional programming. He continually shares best practices with fellow EOP advisers to help improve services and has presented at regional conferences on topics such as academic strategies, career guidance, stress management, and obsessive-compulsive disorder. O’Donnell clearly loves Buffalo State. His collegiality has helped him forge networks and collaborations with faculty and staff members throughout the college. When interacting with students, he is patient and attentive, and he assures students that he has their best interests at heart. He is never too busy to assist a student in need of his attention. He is a well-rounded professional with a wealth of knowledge and talents, and he strives daily to instill confidence in students who may be questioning their own abilities. 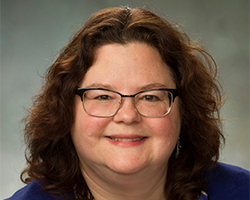 Amy Rockwell, associate librarian in E. H. Butler Library, has demonstrated scholarship, professional development, service to the college, and service to the profession throughout her 31-year career. She has continually taken on new roles to meet the needs of the library and of the college. 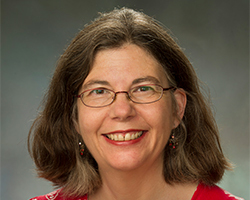 When the School of Education was burgeoning, she managed the Curriculum Materials Lab; when data-based decision-making and return on investment became the vogue in higher education, she managed the library’s assessment activities; when market forces demanded that the college focus on retention and student success, she took on first-year programming. At each stage of her career, her passion for librarianship propelled the institution forward. Rockwell has a strong record of improving the first‐year experience of students at Buffalo State through her role as a first-year-experience librarian. Her teaching, mentoring, and involvement with various first-year initiatives have demonstrably improved student success and achievement. As an embedded librarian and liaison to learning communities since 2005, she has enhanced student engagement on campus. Her service to the college goes beyond the library and includes membership on various campus committees, including the Orientation Advisory Committee, the Honors Advisory Board, and the President’s Medal for Outstanding Student and Chancellor’s Award for Student Excellence selection committee. She has worked as a faculty mentor to learning community students at the 2016 Student Research and Creativity Conference, and has a long record as a library liaison to the Bengal Community of Scholars (Learning Communities) program. Lifelong learning is the heart of librarianship, and Rockwell is E. H. Butler Library’s lifelong learner par excellence. She continually develops expertise in different areas of librarianship, and she is consistent in her reference service, research appointments, and library instruction. Her commitment to learning applies not only to her professional development but also to the students she teaches and supports. For this reason, Rockwell welcomes a constant stream of students who seek her advice and support. Jevon Hunter, Woods-Beals Endowed Chair for Urban Education and associate professor in the School of Education, has cultivated the next generation of critical educators through an active agenda that blends instruction and research activities. His work with graduate students stands as a particular testament to his efforts. Hunter has mentored 20 graduate students from across different disciplines, departments, schools, and universities. 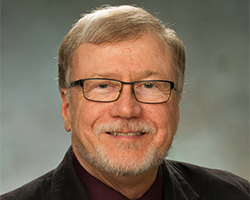 Since 2013, he has delivered 23 conference presentations alongside graduate students at local, regional, and national conferences; served as a lead instructor on independent study courses; chaired master’s theses; and participated as a dissertation committee member. In addition, he coauthored an article on the educational benefits of Twitter in the English language arts classroom with two former Buffalo State graduate students who are now in doctoral programs. The article was recently accepted for publication in a peer-reviewed journal. While Hunter has an impressive array of publications on urban education and African American youth, his scholarship has been particularly notable for his hands-on work with graduate students, whose projects focus on the intersection between literacy and technology, as well as social justice education efforts. Many students seek to work with Hunter specifically because of his innovative and important work in the field of literacy. Hunter’s mentorship has helped graduate students realize their potential to go on for doctoral degrees, piqued their interest in research, and fostered their creativity, critical thinking, and writing skills. Not only does Hunter conduct groundbreaking work in the field of urban education; he also expects his students to participate in that work, and he makes sure that the student researchers and participants feel full partnership in the dissemination of the work. Experiential benefits for graduate candidates range from their earliest forays into urban schools to confident submission of professional writing for publication. Hunter has logged many exhaustive hours of work with graduate candidates during the summer, during regular classroom hours and clinically rich practice experiences in Buffalo State’s partner schools, in multiple incidences of out-of-class engagement in the community, and in doctoral study. 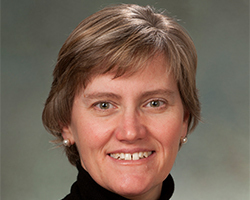 Jennifer Ryan-Bryant, associate professor of English, serves as the department’s M.A. program coordinator, and her dedication to providing quality graduate experiences for students is unsurpassed. This dedication extends far beyond the classroom and includes advising, overseeing alternative learning experiences for students, tending to curricular matters, and supporting colleagues in their own graduate mentoring. She has proved to be the epitome of what one wants in a mentor, scholar, teacher, and colleague. Evidence of Ryan-Bryant’s mentoring excellence can be found in the number of students whose work has won awards under her tutelage. Three students have won Buffalo State’s Outstanding Master’s Thesis award. Another two have won the department’s Award for Excellence in the Master of Arts. Ryan-Bryant is a guide from the moment a student comes to her with a topic through the writing of the thesis, the promotion of its ideas, and the recognition of the work through award nominations and application and acceptance for publication. Her students have been inspired to communicate their research at local, regional, national, and even international conferences and venues. Quality mentorship is not reserved for thesis students, however. Ryan-Bryant frequently takes extra time to offer advice and guidance for students in her classes who want to research beyond the specific material given in class. One recent example is in the work she did with students on a graduate study-abroad experience in England. Having prepared them in a pre-trip course on archiving and archives, Ryan-Bryant helped individual students on the trip process their experiences and use them to further their research. Additionally, she is a mentor to her fellow colleagues who benefit from her leadership both in the department and as chair of the graduate committee. She helps colleagues understand the salient features of the graduate program and makes room for graduate faculty to propose new ways to improve it. She strives to give students a stake in their learning as well, beginning with course topics and continuing through the development of new skills. The idea for a new track in Global and Diverse Literatures came from student interest in an expanded curriculum and from Ryan-Bryant’s commitment to providing experiential benefits to students that allow them to understand the workings of their academic discipline. Howard Reid, professor of psychology, has been a member of the Buffalo State community since 1977. In those 41 years, he has consistently excelled in teaching, scholarship, and service and has been dedicated to the success of the institution. His accomplishments in teaching have been recognized through the Buffalo State President’s Award for Excellence in Teaching (1986), the SUNY Chancellor’s Award for Excellence in Teaching (1988), the SUNY Chancellor’s Award for Excellence in Faculty Service (2005), and the Buffalo State President’s Award for Excellence as an Undergraduate Research Mentor (2007). Reid has taught every required course in the Psychology Department, as well as courses in his specific area of expertise. He has mentored more than 100 students through independent studies, independent projects, and internships. In scholarship, he has given numerous presentations at professional conferences, published 35 journal articles and book chapters, and published a textbook for psychological statistics. He thinks deeply about the questions that arise in his classes, in his reading, and in his everyday encounters. His research is driven by a desire to always learn more and to help others learn more. Highlights of his service to the campus include a seven-year term as chair of the College Senate as well as time spent as cochair of the President’s Council on Equity and Campus Diversity, chair of the Middle States Committee for Recognition of Student Learning and Faculty Teaching, co-chair of the College Planning Council, chair of the Faculty of Natural and Social Sciences, and chair of the Psychology Department. Whether he is in a classroom of 180 students or 12 students or he is working one-on-one with a student in an independent study or internship, Reid is a dedicated and gifted teacher. His teaching evaluations are consistently excellent, which is all the more impressive given that he regularly teaches the required PSY 306 Statistics in Psychology, a course that many students find challenging. Reid is an expert collaborator who genuinely enjoys sharing his experience with students and colleagues. 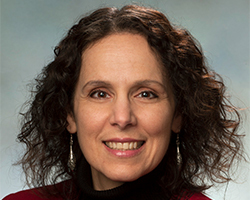 Maria Pacheco, associate professor of chemistry, is an excellent teacher, mentor, and adviser to Buffalo State students and a committed scholar of chemistry education. She personifies Buffalo State’s ideal instructor—one who is committed to excellence in teaching both inside and outside the classroom and seeks to make a lifelong difference in their students’ lives. Pacheco uses a variety of pedagogies to effectively teach chemistry at both the introductory and advanced levels. Her ability to teach the introductory chemistry sequence to early career students from a wide variety of majors is especially noteworthy. She is committed to ensuring that all her students, regardless of their abilities, are offered the tools to succeed. 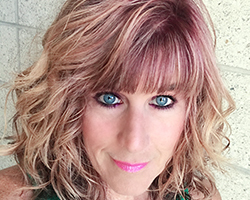 Over the years, she has consistently sought to introduce new teaching pedagogies in her classes, including offering a fully online chemistry course. Pacheco’s research activities have concentrated on the exploration and development of new pedagogies for teaching chemistry. She has given more than 24 presentations on these activities at a variety of venues, including regional and national meetings, invited talks at colleges, and assorted workshops. She has supervised a number of student research projects, resulting in seven presentations at the college’s Student Research and Creativity Conference. She has participated in two grant proposals to the National Science Foundation, received a Title III grant supporting improvements to math instruction for STEM majors at Buffalo State, and was awarded two grants from the Carnegie Academy for the Scholarship of Teaching and Learning. 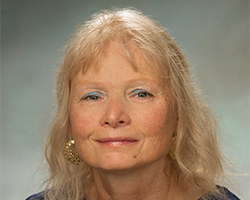 She is also a member of the American Chemical Society’s Committee on Computers in Chemical Education and has served as a reviewer for several chemistry textbooks, the online journal the Chemical Educator, and the Journal of Chemical Education. As one of the hardest working academic advisers on campus, she works with a third of all chemistry majors. 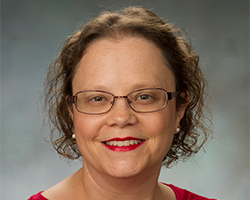 In addition, she has served as faculty adviser to the active student chemistry club, taking groups of students to national professional meetings. She has also served on every departmental committee related to curricular matters. 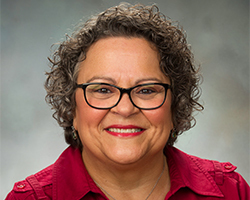 Collegewide, she has served as the director of EOP, a two-time member of the Middle States Self-Study Committee, a two-time member of the Teacher Education Council, a member of the Orientation Advisement Committee, and a member of the Council for Online Enrollment Strategic Planning. Cyndi Burnett, associate professor of creative studies, has transitioned from graduate assistant to professional in higher education, from master’s degree student to doctoral degree holder, and, most recently, from lecturer to associate professor. Over this time, she has contributed much to the Creative Studies Department and Buffalo State. While Burnett is highly effective in a number of areas, one area of professional responsibility where she excels is in teaching effectiveness. Burnett has led faculty in adopting technology in her courses and in leveraging technology to disseminate the creativity studies curricular content to the wider world. She took a lead role in developing a massive open online course (MOOC) that has attracted viewers from more than 180 countries. To date, this online course has had more than 120,000 visitors and 28,000 active participants, making it the most active MOOC offered by the State University of New York. Buffalo State takes pride in having scholars in the classroom, and Burnett is a model of the teaching scholar. She has directly connected teaching to scholarship by providing an opportunity for students to publish essays in a book of first works titled Big Questions in Creativity. As the editor of this series, she initiated the first volume in 2013 and has continued to publish an issue each year through 2018. She is keenly interested in supporting transformative teaching both on and off campus. Ever mindful of that goal, she has made creative education the main focus of her scholarly endeavors and has published a book, Weaving Creativity into Every Strand of Your Curriculum, which was recently translated into Spanish. Burnett is an engaging and charismatic teacher. Her teaching evaluations are superior, and students hold her in the highest regard. She has been an active mentor for many, and her efforts both in and out of class have done much to transform lives. Jason Grinnell, chair and associate professor of philosophy, consistently receives positive evaluations from his students who appreciate how he lectures with real-life examples in philosophy, allowing deep discussions to ensue in the classroom. His approach of assigning short abstracts for each reading has made his students better writers, and his “ethics bowl”–style debates have made them better thinkers. Many students mention how effectively Grinnell breaks down and communicates complex topics, and it is clear from their testimonials that Grinnell has fostered lifelong learners. 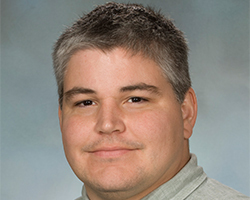 Grinnell has impressive knowledge on a diversity of topics in philosophy and the ability to share that knowledge and his enthusiasm for his field with his students. He offers the point of view of a well-versed philosopher who is also a hard-working and gifted teacher. He has superior classroom management skills and techniques for engaging students. Even when discussing controversial topics such as evolution, organ donation, assisted suicide, or biological advances, the debate always remains respectful, thoughtful, and conscientious. He works with students on research projects that result in their intellectual growth by mentoring Early Undergraduate Research Opportunity and Undergraduate Summer Research students. Providing these opportunities to students requires a significant investment of time and effort, commodities that Grinnell is happy to share with any students who have an interest, not just those majoring in philosophy. Grinnell is engaged with students outside the classroom as well. Recently he worked with students to found a Buffalo State chapter of Phi Sigma Tau, the international honor society in philosophy. This group started a community library in the Philosophy Department and held a food drive for Milligan’s Food Pantry, collecting 500 pounds of food for needy Buffalo State students. Grinnell has served on many college committees, including the College Senate’s Academic Plan Committee. He also serves on the Honors Advisory Board and co-chairs the General Education Task Force, which is working to bring further innovation to the campus curriculum.